If you’ve ever had a hankering for something rear-wheel drive, huge fun and tuned by Brabus, you might have assumed everything applicable was out of your budget, potentially like Brabus’ new Mercedes A250 tuning kit. But worry ye not, because there’s a cheap way to tick all of those coveted boxes. 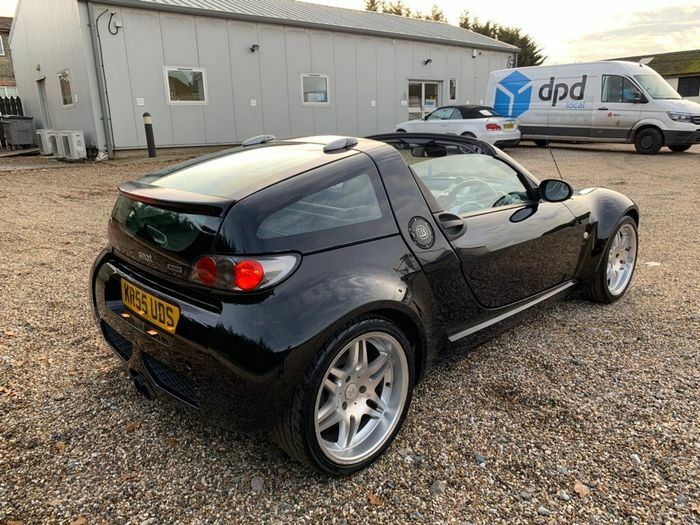 We are, of course, talking about the Smart Brabus Roadster; the standard-bearer for the short-lived Roadster range, which was killed off by persistent quality and reliability issues – but not before we’d all seen what a colossal laugh it was. Brabus tickled the car’s turbocharged three-cylinder engine – all 698cc of it – up to an, erm, fire-breathing 99bhp; 19bhp more than in the standard car. It was built in both hard-top and convertible body styles and weighed around 850kg at the kerb. Power-to-weight was therefore a healthy 116bhp per tonne. The automated manual gearbox was tuned as well. Faster, more aggressive shifts were the reward. To complement the improved performance (0-62mph in a thrilling 9.5 seconds) the Brabus got larger wheels; 17s that looked huge on its tiny frame. With 225-section rubber at the rear and 205 at the front there was grip for days. Allied to the fact that your downstairs cheeks were about a worm’s width off the road and the cheeky half-a-Porsche-911 noise coming from the rear end, the Roadster felt way faster than it really was and could always keep you entertained on a B-road. Unfortunately it had all the build quality and sturdiness of a Christmas cracker hat. 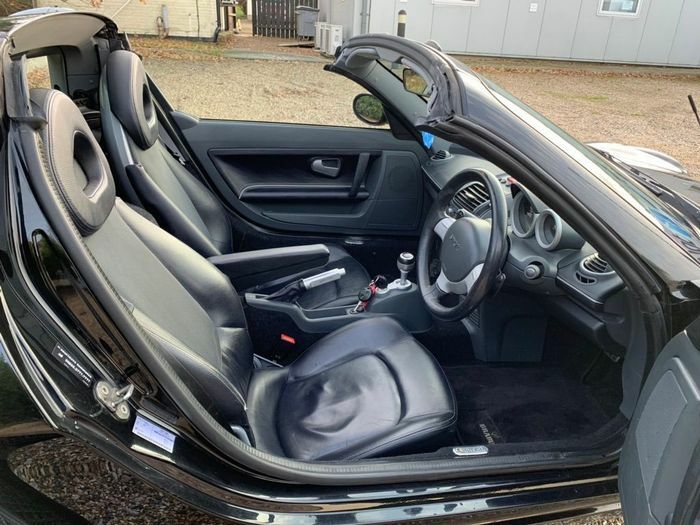 The convertible leaked persistently, the wheels were made of fudge and not only buckled at the slightest pothole, but also tried to dissolve themselves at the first sign of road salt. But don’t let that stop you. Some were better than others and we’d always encourage you to try one out. 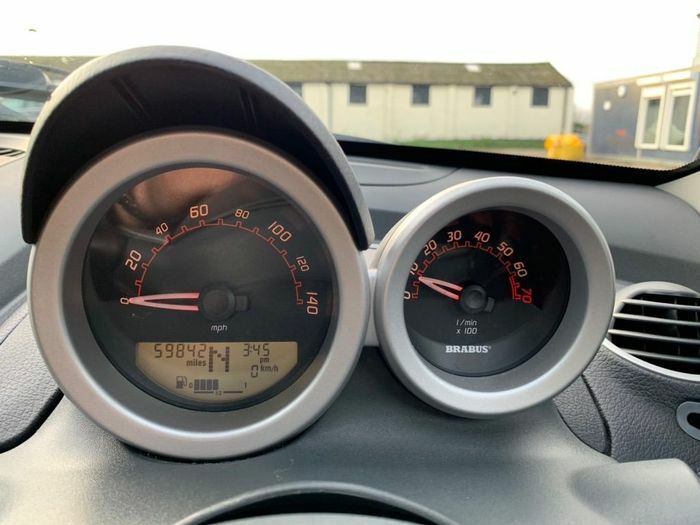 At the top of the classifieds we found this 2005 convertible example at TVM in Brentwood, Essex, with less than 60,000 miles covered, one owner and a full Smart service history. 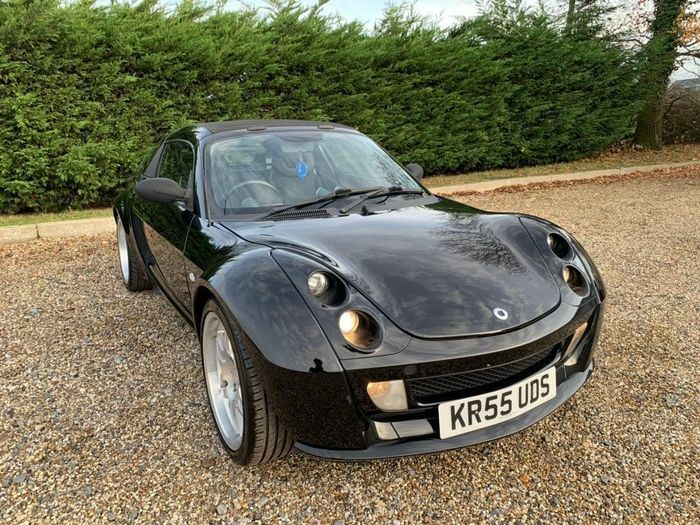 It has the optional flappy paddles for gear-changes, a fresh MOT, good Yokohama tyres and very honest-looking bodywork. There are marks, and it all seems to tally with the history. 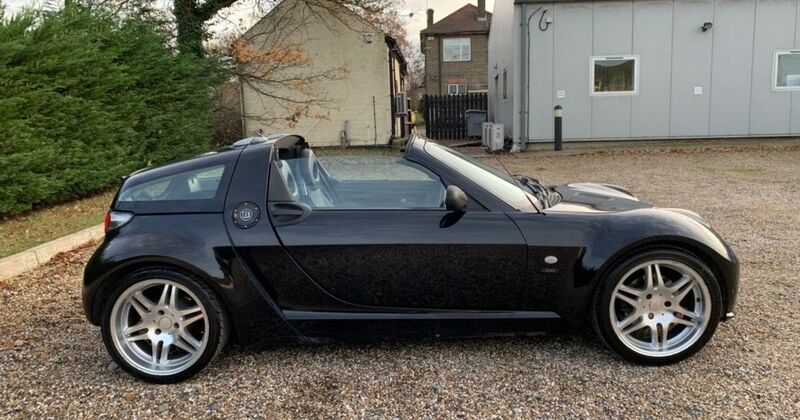 This rear-driven sports car that’s small on footprint but big on silly fun is priced at just £3675. You’ll want to check for roof and/or window leaks, but other than that, why aren’t you already buying it?